Due to events such as the terrorist attacks in Europe, people are concerned about new and unpredictable travel disruptions. While some Americans are changing their destination plans to other European cities that are perceived as safer or are less expensive, others are still planning to go to cities like Paris or Brussels but with a safety net. And for those concerned about terrorism, our insurance plans can provide useful benefits for covered unforeseen and unknown events, ranging from trip cancellation to emergency medical care. Attention from these global catastrophes raises consumer awareness of the basic benefits of travel insurance, from flight delays to trip cancellations caused by a covered illness or injury. Travelers’ purchases of our insurance policies grew by 15% year-over-year in 2016. Additionally, travel insurance is becoming more mainstream thanks to travel experts like Lee Abamonte, Johnny Jet and Peter Greenberg who advocate for it. Recent articles published in Travel Pulse, Travel Weekly, Skift, and Consumer Reports cite many reasons to buy travel insurance and recommend it. Despite potential risks, there’s still a growing desire among Americans to travel. Whether for a relaxing getaway, celebration trip, family vacation, or for enriching experiences of other cultures, people are still taking trips. For some, travel insurance gives them the freedom and sense of security to continue exploring new places. Like an experienced guide or a smartphone, it’s one more practical tool that reduces their personal risk and can offer protection in the time of need. Insurance is no longer seen as a commodity within the travel industry. Beyond it providing better customer care, today’s travel providers and online travel agents (OTAs) that face increased competition can benefit from it as a reliable, easy source of ancillary revenue. Depending on volume, it can produce up to millions of dollars. And for agents, it’s one of the best commissions they can earn. That translates to travel insurance becoming more available to consumers. We were the first company to partner with a major airline and an OTA to offer consumers insurance in the online booking path. Now other travel providers like hotels and tour operators are beginning to consider it as a revenue stream. As a whole, the travel insurance industry offers consumers more value and ease of use today. Our plans include some of the most comprehensive benefit options available, and we continually develop better products based on customer feedback. In some cases we offer robust Cancel Anytime plans through partner booking sites and agencies. And now some policies may cover care for existing medical conditions. 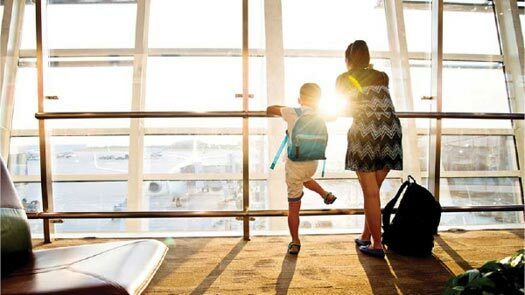 Travel delay and baggage protection, 24-hour assistance and concierge services are among popular benefits consumers can buy today. Thanks to advances in our technology platforms, insurance has become easier to sell by our partners in online bookings and by agents using our award-winning AgentMax Online software. And for our customers, we’re paving the way for faster, simpler online claims filing and real-time payments to bank accounts through debite cards using Mastercard SendTM, deposited within minutes or hours of claims being approved. All of these factors contribute to better, more appealing travel protection for consumers at a time when they’re more aware of the value and need for it. 4 Maggie Rauch, Lorraine Sileo, Brandie Wright and Alice Jong. U.S. Online Travel Overview 16th Edition, Phocuswright (January 2017), pages 13, 26.